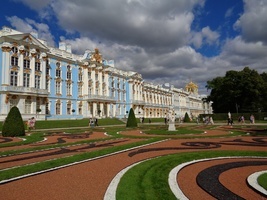 After breakfast, begin a City Tour of St. Petersburg, one of the most fascinating cities in Europe. You will drive by the elegant buildings on the Nevsky Prospect, stately palaces on the Palace Embankment along the Neva River, Palace Square with Winter Palace and Alexander Column, Bronze Horseman - the famous monument to Peter the Great, Admiralty, Schmidt Bridge, Strelka with Stock Exchange and Rosstral Columns, St. Isaac's Cathedral, Peter and Paul Fortress, Alexander Nevsky Lavra, Canal Griboyedova, Fontanka, Kazan Cathedral, Church on Spilled Blood and other finest architectural, historical and cultural landmarks. 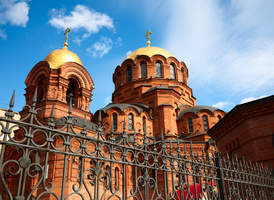 During the tour you will visit Peter and Paul Fortress and St. Isaac’s Cathedral. Arrive in Moscow and meet your guide at the train station followed by general overview Moscow City Tour. You will explore the main areas on the Russian capital within the boundaries of the Garden Ring and the Boulevard Ring, the famous Red Square and Kremlin, adjacent to which are the old historical parts of Moscow such as Kitay Gorod, Tverskaya, Arbat and Zamoskvorechje. Your tour will include all-important sites such as St. Basil's Church, Cathedral of Christ the Savior, Novodevichiy Convent, Luzhniki, the White House, Moskva River and others. For the best panoramic view of the city and the famous Moscow University “"wedding cake"" building you will drive to the Sparrow Hills, located 6 km south-west of Kremlin. Hotel check-in and the tour. In the afternoon we will continue our Moscow tour in the Red Square and Kremlin area. This is where the famous St. Basil's Cathedral, Mausoleum, Historical Museum and GUM department store are located. The main landmarks inside Moscow Kremlin are the three famous Cathedrals - Assumption, Annunciation and Archangel - dating back to the 15-16th centuries, Ivan the Great Bell Tower, Tsar Bell, Tsar Cannon, Hall of Facets and Terem Place. After breakfast visit Tretyakov Gallery in one of the oldest parts of Moscow Zamoskvorechje. Pavel Tretyakov, a Russian merchant and patron of the arts, founded the museum in 1892 when he donated his collection to the city of Moscow. It has since become a world-famous museum with more than 170,000 works by Russian artists from early religious paintings to modern art. In the afternoon our Russian tour continues with an exciting ride on Moscow subway. Moscow Metro is one of a kind subway system in the world carrying more passengers daily than New York and London systems combined. The prominent Russian architects and artists participated in the construction and design of the stations the primary goal of their work was not just to create a transportation system but to showcase and glorify socialism and its achievements. 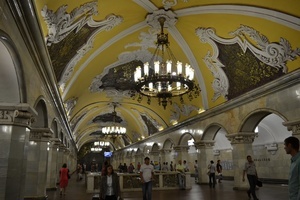 As a result it turned out to be one of the most extravagant projects of the Soviet Union where each station looks like a palace decorated with statues, marble columns, frescos and mosaics. Full day reaching the Europe Asia Border & Yekaterinburg, from this point on you are officially in Siberia! 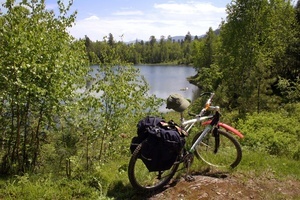 In the morning, free time to hike the trails or to explore the lake during a 1-hour boat trip (optional). Sail along the shores and enjoy the beautiful landscape around. You will leave Listvyanka around midday and visit the Wooden Architecture Museum of Tsaltsy on the way back to Irkutsk, where typically old churches, shaman houses and a fortress have been rebuilt in original style. During a city tour in Irkutsk, your guide will tell you about the history of tthe city and introduce you to the most interesting sights. You will see elaborate Russian Orthodox churches, a Polish Cathedral (the only Siberian Gothic-style building), many wooden houses decorated with “wooden laces” (hand-made carvings) as well as modern buildings of the 20th century. You will also visit the Decembrist House, a fascinating museum displaying the life of the Trubetskoy and Volkonsky families. Overnight in Irkutsk. Early morning departure to Ulaanbaatar, the capital of Mongolia; the landscape gradually changes from wide forests and rivers to a uniform steppe, where the great Khans have been riding their horses. 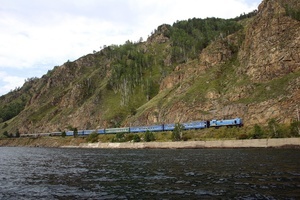 Overnight on the train to Mongolia. Arrive in Ulan Bator in the morning. Transfer to Ger Camp Terelij. Spend one day and night at the Ger Camp in a traditional Mongolian family communal tent. Gers have been used for generations by nomadic herdsman not only in Mongolia but across other parts of Central Asia as well. Terejl Ger camp is known for rocky landscape, panoramic views, and great trails for horse riding and hiking. Ger camps employ a manager, cook, waitress and horsemen. Travelers stay at their own Gers, just like a hotel room. Cooks at the Ger camps are all professionals, so travelers can have opportunity to taste Asian and European as well as Mongolian dishes, while staying there. Depending on the distance from the main market, the menu will vary depending on the Ger camp. Relax and enjoy the nature and optional activities. Overnight at the Ger camp. Transfer and city tour of Ulan Bator. Visit the Bogdo Khan Winter Palace Museum. Enjoy a stunning Mongolian cultural performance including the famous throat-singing in the evening.Overnight in Ulan Bator. Afterr early breakfast transfer to train station. Departure to Beijing. Overnight on the train to China. After breakfast, your guide will take you to one of the most powerful symbols of ancient Chinese civilization – the Great Wall of China, stretching 6,350 km. It took more than one million people and ten years to build the Great Wall designed as a defensive structure. 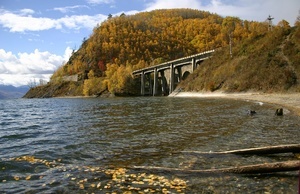 In 1987 it was added to the UNESCO List of World Heritage Sites. You will have the opportunity to walk along the wall, through the watch towers and enjoy superb views as it snakes across the hills and mountains. You can return by cable car, walk down or walk along the wall for about an hour to descend by chairlift. We will then continue to the Temple of Heaven. Built in 1420 during the Ming Dynasty, the Temple of Heaven is a complex of Taoist buildings where emperors of Ming and Qing dynasties visited for annual ceremonies of pray for good harvests.Overnight in Beijing. After breakfast a private full-day city tour of Beijing with your local guide, you will visit the Forbidden City, the Tiananmen Square and the Hutongs. The Forbidden City was home to 24 emperors between 1368 and 1911. This “city within a city” is a World Heritage Site. The largest and best preserved ancient imperial architectural complex in the world, featuring the great square, halls and gates contrast with intricate halls, gardens, courtyards and quarters. The exhibitions, both permanent and temporary, are all important treasures of ancient China. Tiananmen Square is the largest city square in the center of Beijing, named after the Tiananmen (literally, Gate of Heavenly Peace) which sits to its north, separating it from the Forbidden City. It has great cultural significance as it was the site of several key events in Chinese history. As the world’s largest city square and enduring symbol of China’s national pride, it is surrounded by many imposing buildings including the Heavenly Gate (entry to the Forbidden City), Museums, government buildings and Chairman Mao’s Mausoleum. A Hutong is a maze of historic alleyways with old single story traditional courtyard houses, which are now fast disappearing. Breakfast and check-out. Transfer to the airport.